1931 Buick Other in Ashbury, NJ for sale. 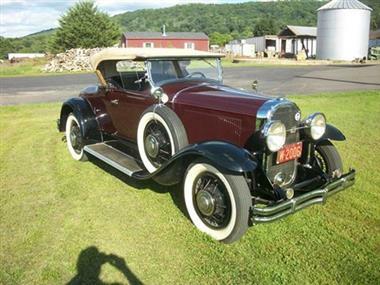 1931 Buick Model 64 Roadster (NJ) - $55,000Exterior MaroonInterior BlackTransmission ManualEngine 8 cylinderMileage 2,000Mileage is reflective after the engine rebuild in 1999. This Buick has the original tan convertible top still. Black fenders go along with the Maroon paint. This vehicle is fully serviced and has fresh fluids currently. A body of restoration was done and nothing was missed. 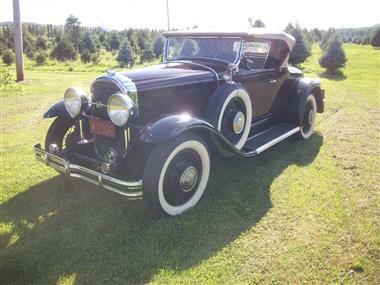 The leather rumble seat is in great shape, overall this vehicle is a 910. 3 speed manual trans and a 272 Straight 8 engine, this was the first year for the straight 8 engines. Original side curtains. Everything on this vehicle is original and numbers matching. Seller has records and receipts available. This vehicle is well maintained and garage kept.Located in Ashbury NJ 08802Please call Jim @ 908-479-4655 to see this Roadster.